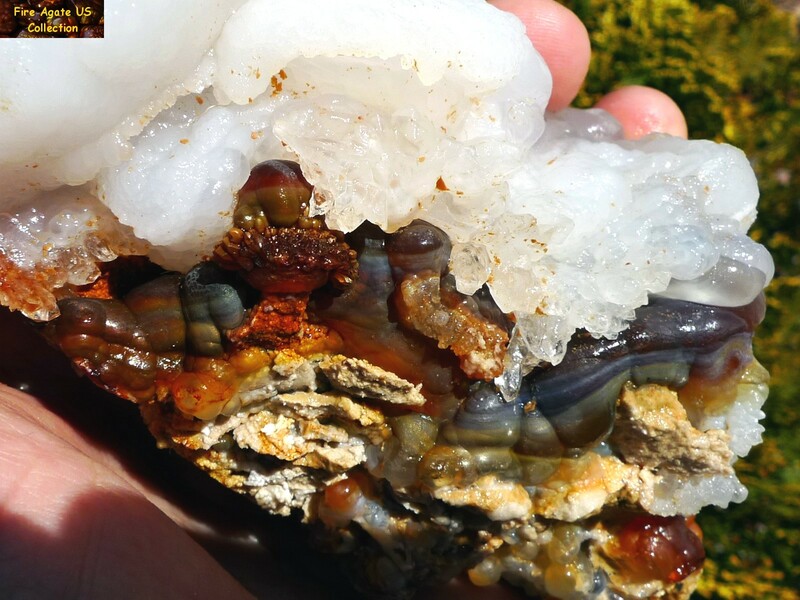 This wonderful cabinet sized specimen of Fire Agate gemstone rough measures 5-1/4 x 3 x 3 inches (13.5 x 7.6 x 7.6 cm) and weighs 1.34 pounds (21.5 ounces). 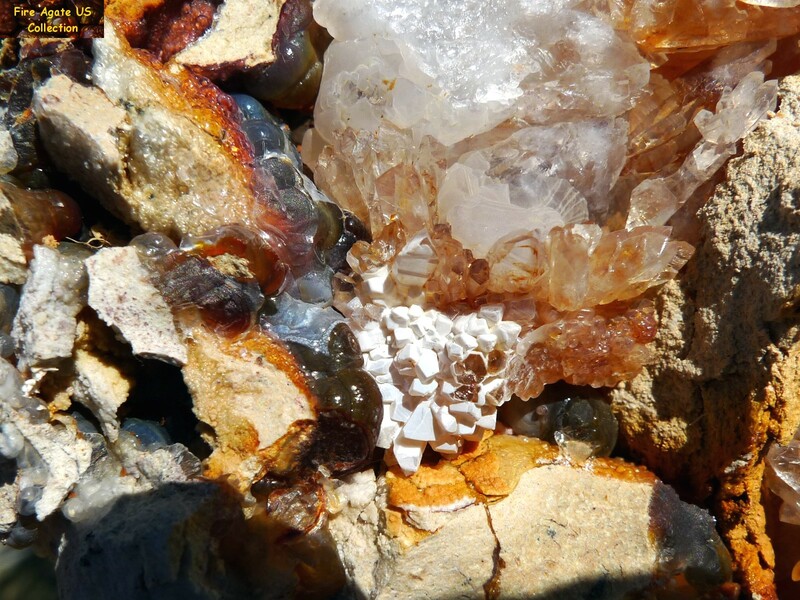 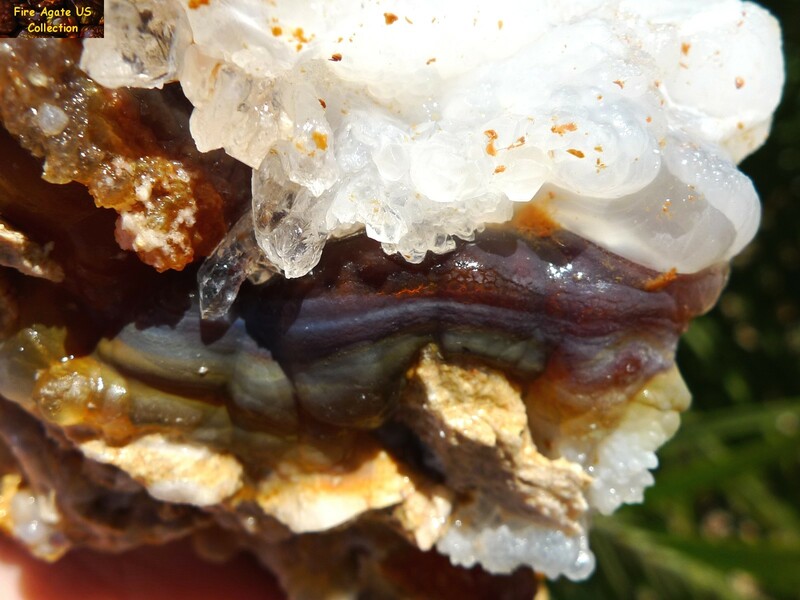 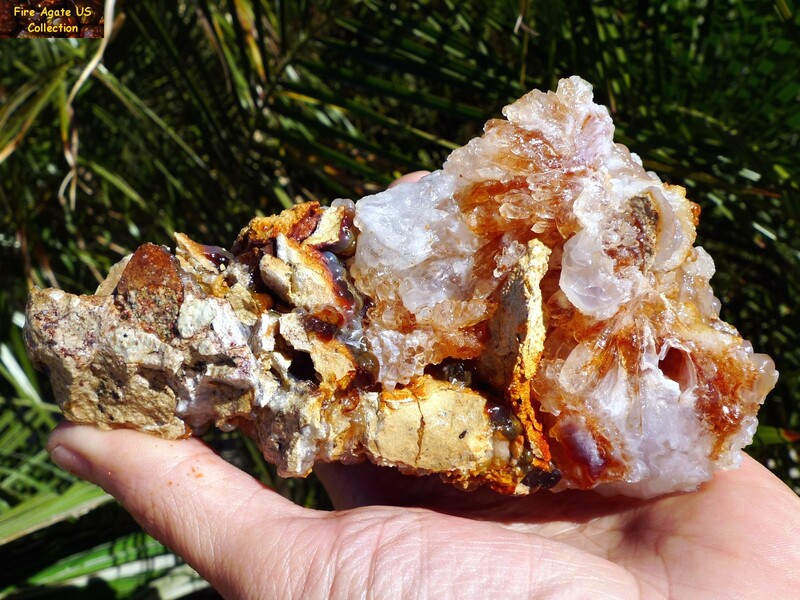 There are internal fire agate gems visible under the chalcedony flower with multiple limonite layers also present. 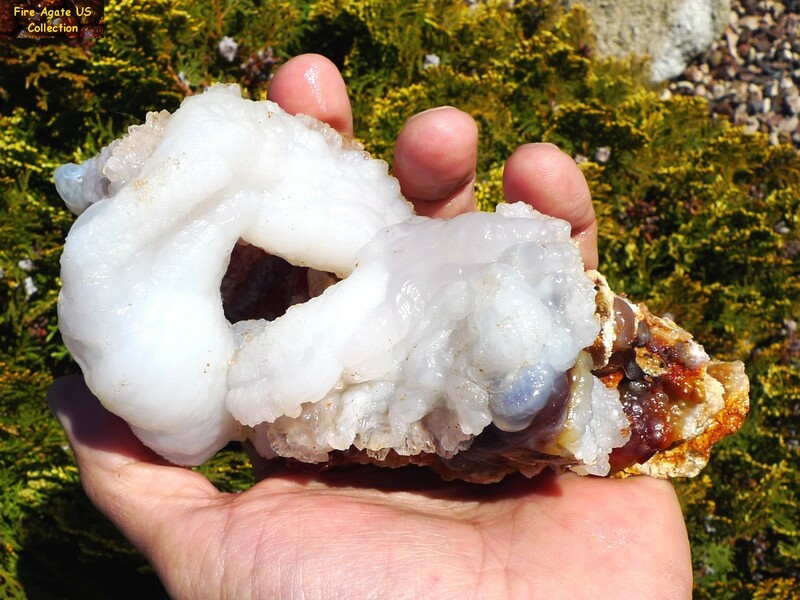 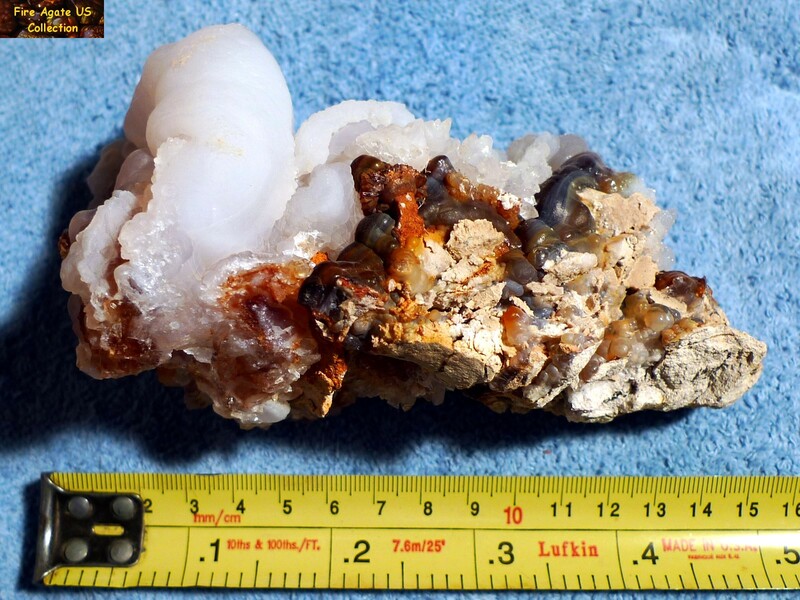 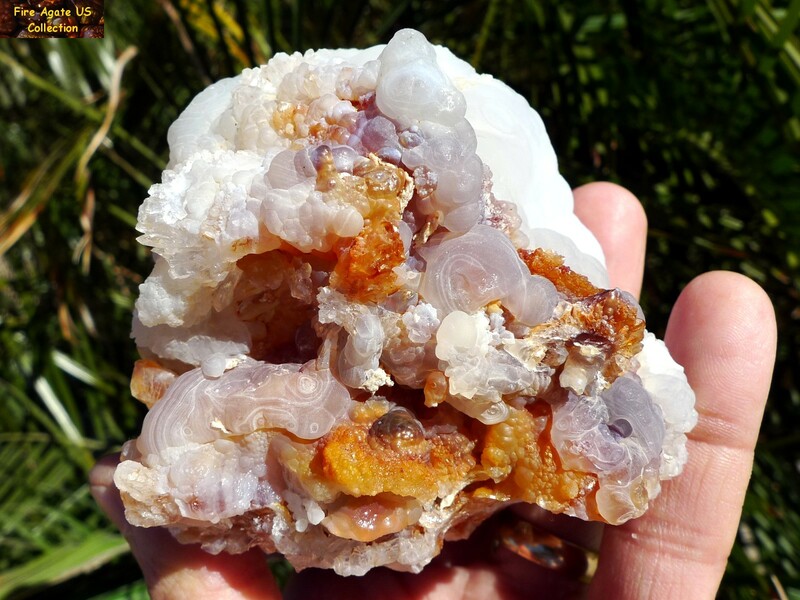 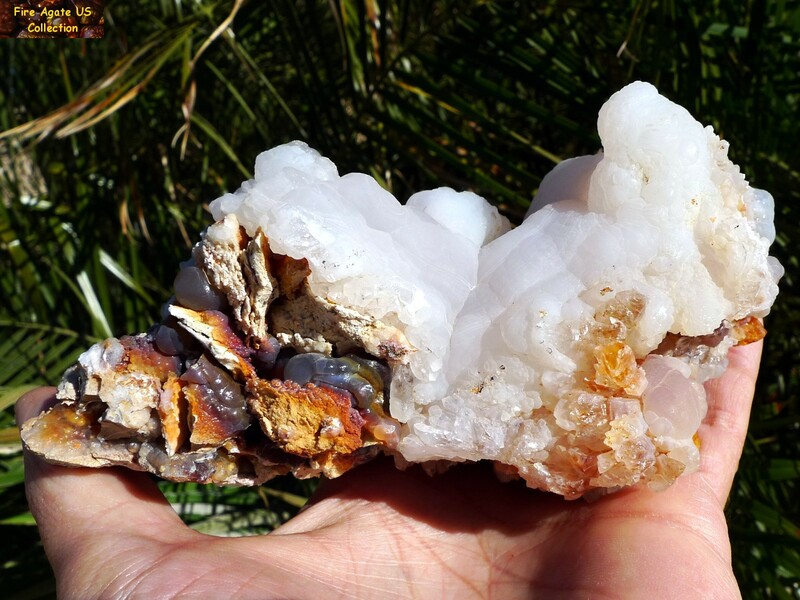 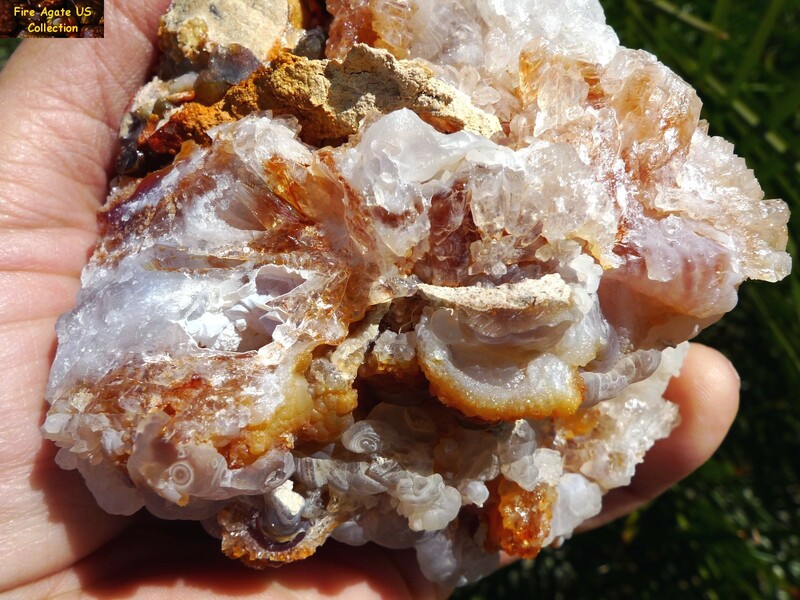 This specimen has a chalcedony flower formation on top, areas of translucent chalcedony with intricate geometric designs, rose colored quartz crystals, clear quartz crystals, and unique opalized coated quartz crystals present. 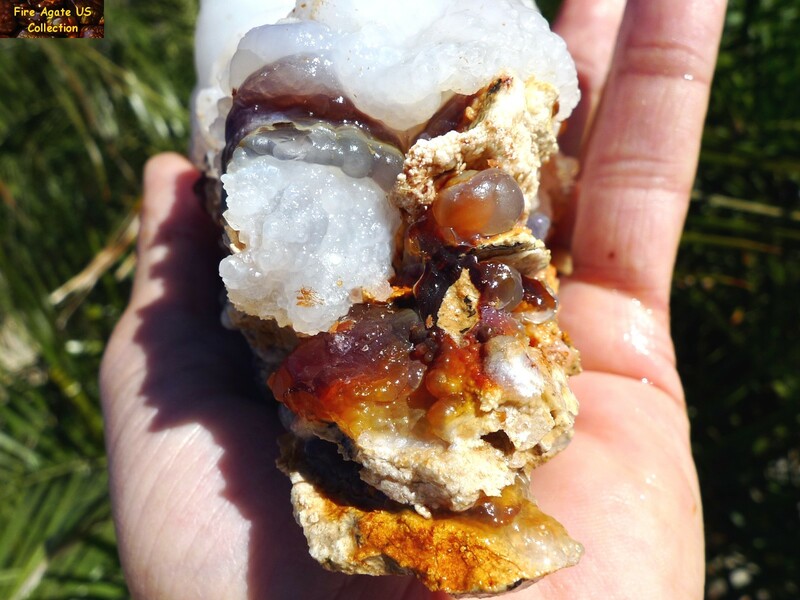 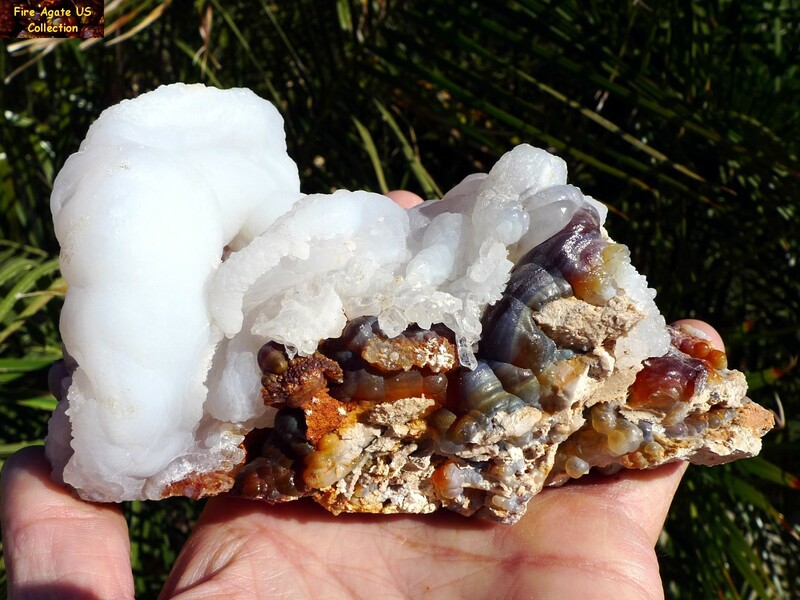 Large intact pieces of fire agate rough are rare due to the difficulty of extracting them from the bedrock, most get broken into smaller pieces during the mining extraction process. 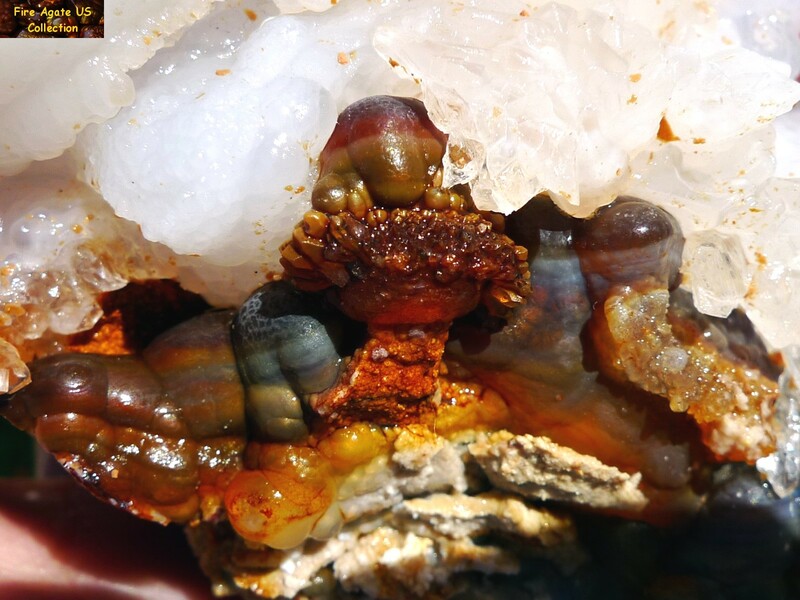 This stone originates from Slaughter Mountain, Arizona, which is known for fire agate with intense color variations from bright reds and oranges to intense greens, purples and blues.